Songo Pond, south of Bethel on Rte. 35. 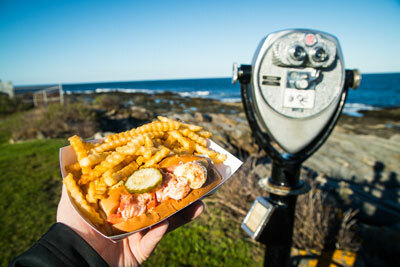 Photo by Kirk Erickson — Mainescape Media. [T]here’s a reason that cozy little Bethel is the hub for so many a leaf-peeper’s Maine foliage road trip. Not only is the fall color genuinely eye-popping in the surrounding Mahoosuc mountains and foothills, it’s glorious even along the village streets and the rural roads outside of town. That breathtaking image above? Songo Pond, not five minutes south of the town center. When you’re ready to go a little farther afield, we’ve plucked three of our favorite routes to fill an hour, an afternoon, or a whole day. Happy peeping. 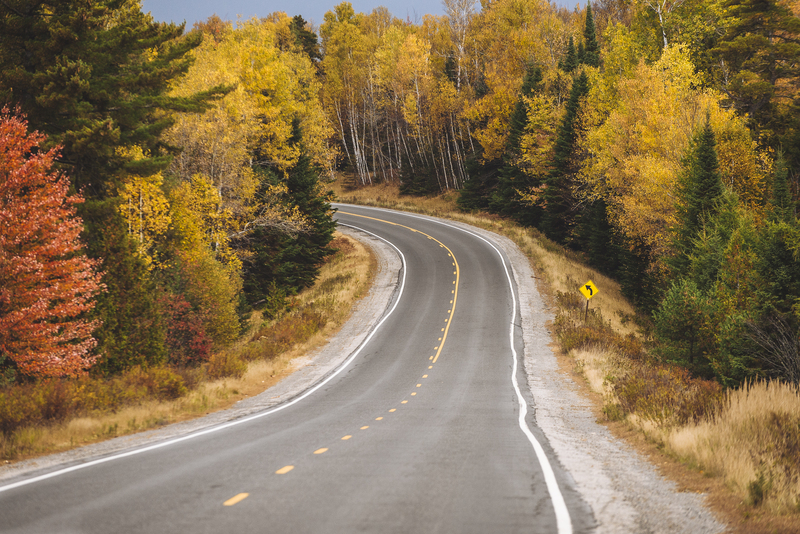 For more fall foliage scenic drives, be sure to visit the Bethel Area Chamber of Commerce. A 15-mile drive lasting a half hour to an hour, with time to photograph a historic covered bridge and an optional stop at Sunday River Ski Resort. You don’t have to wander far out of Bethel to feel like you’re cruising through the forest primeval. The paved Sunday River Road branches off of Route 2 just a couple of miles north of town, then winds past farms alongside its namesake stream in the shadow of the ski hill. Four miles in, you’ll find the postcard-perfect Sunday River Bridge, built in 1872 and nicknamed Artist’s Covered Bridge because it’s so often painted and photographed (for obvious reasons). The color along the roadside is terrific, but if you stop by Sunday River, you can ride the Chondola up the mountain ($15 adults round-trip, $10 kids) for a panoramic view of the region’s foliage. Sunday River Brewing Company has refreshment covered on your way back to town. A 75-mile, two- to three-hour trip along two-lane highways and one rural river-valley road. Rural roads and two-lane highways burn bright with fall color north of Bethel. Photo by Mark Fleming. Gloriously colorful mountainsides hug the road as you cruise northwest towards and eventually through Grafton Notch State Park. Along the way, you’ll pass plenty of pullouts for roadside photo-ops and trailheads for short hikes (if it’s not too brisk, consider getting your feet wet at the Step Falls Preserve). Eight miles past the park’s Appalachian Trail trailhead, East B Hill Road follows a scenic ridge for 6 miles before descending steeply into a river canyon exploding with color. 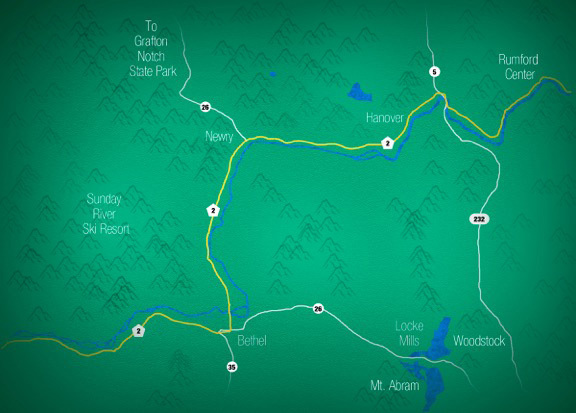 The canyon opens up into farmland outside Andover, where you’ll want to grab a slice of pie from the Little Red Hen before following bucolic Route 5 back to the Androscoggin River and Route 2 another 13 miles back to Bethel. A 125-mile loop that’ll keep you on the road for four hours or more, with ample opportunities to stretch your legs. 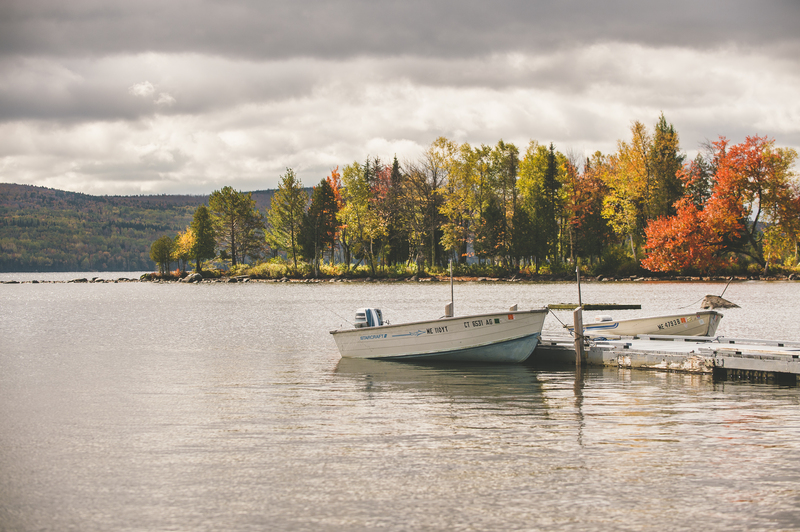 Colorful tableaus await around the shores of the Rangeley Lakes. Photo by Mark Fleming. 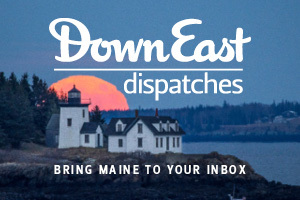 Our advice: Devote a full-day to this grand tour of Western Maine fall splendor. On the way out of town, on Route 2, Bethel’s Good Food Store has everything you need to pack a monster lunch.  You’ll want to picnic at Height of Land, 50 miles north of Bethel on Route 17 and arguably Maine’s most scenic overlook, looking down on the blue sprawl of Mooselookmeguntic Lake. The route continues north along the western shore of Rangeley Lake before following Route 16 west through superb moose country. 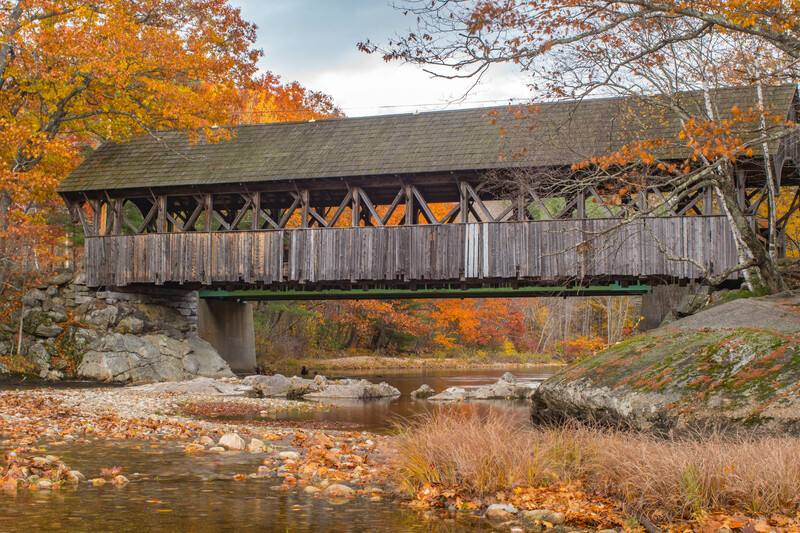 At mile 82 — just after Route 16 dips southward towards the New Hampshire border — be sure to check out the Bennett Bridge, another historic covered beauty, built in 1901. Cross (briefly) into New Hampshire to catch Route 26, then enjoy the high-country views in Grafton Notch State Park before winding your way back Bethel. Check out Bethel’s best day hikes and can’t miss fall events!